While wandering through Forsyth Park in Savannah, I came across a photoshoot, presumably for some kind of clothing brand. I always get a nice double-chin when being photographed from below, but I'm sure this model looks good regardless of the angle. 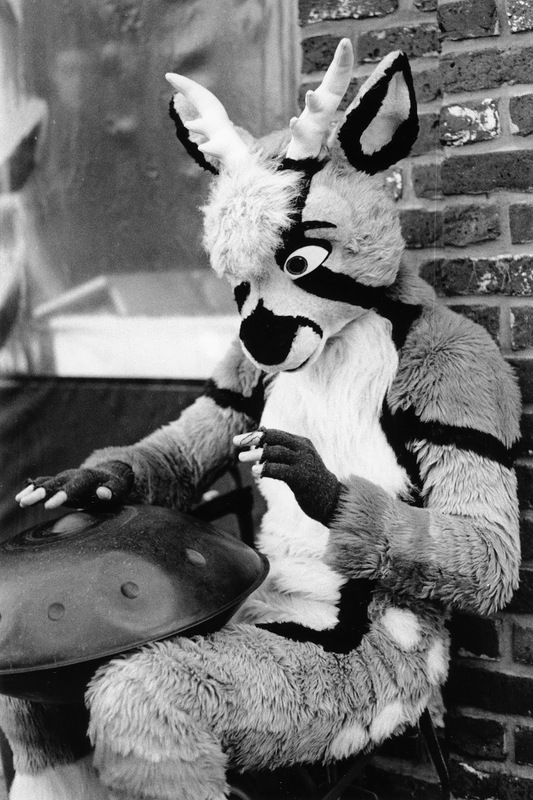 I used my Pentax LX with a 50mm f/1.4 lens and Kodak Tri-X film. The physical darkroom print is 10"x7". 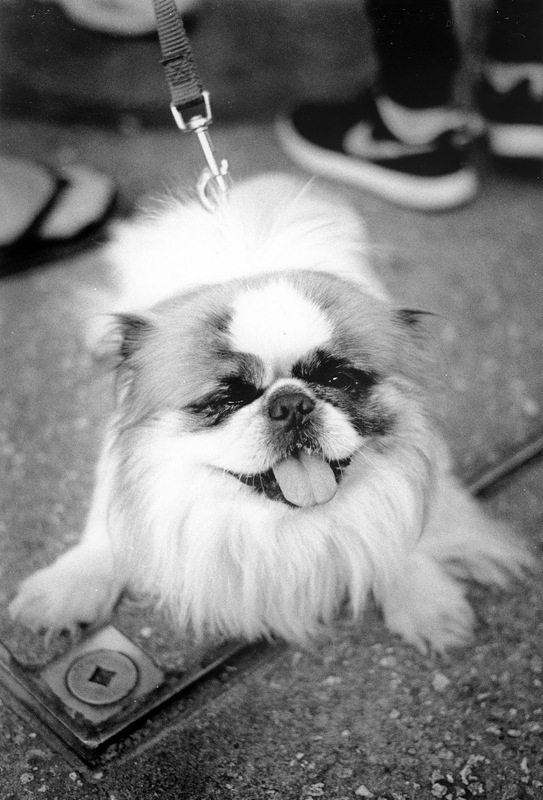 I am and will always be a cat person, but this dog I saw in Savannah was pretty damn cute. He was out for a mid-afternoon stroll, enjoying the sunshine. One thing I admire about dogs is they're always completely content, and just happy bein' dogs. I used my Pentax LX with a 50mm f/1.4 lens and Kodak Tri-X 400 film. The physical darkroom print is 10"x7". I found this spring rider while passing through a tiny town on the way back home from Galesburg, Iliinois. He was sitting alongside a rusty old swing-set in the town's only park. I used my Mamiya C330 with an 80mm f/2.8 lens, and Kodak T-Max 400 film. The physical darkroom print is 10"x10". "The Talk" was taken during our trip to Savannah Georgia, and depicts a young couple sitting on some steps overlooking the Savannah River. Given their body language, it seemed like they were having a pretty serious talk. They both seemed to care about each other, but the mood felt melancholy. I used my Pentax LX with a 50mm f/1.4 lens and Kodak T-Max 400 film. The physical darkroom print is 7"x10". 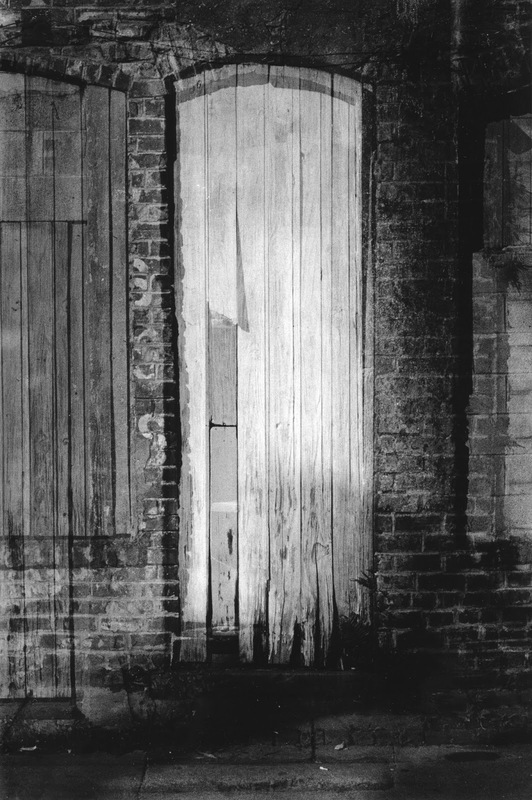 "Savannah Doorways" is four separate exposures of four different doorways found on an old building in Savannah, Georgia. I used my Pentax LX with a 50mm f/1.4 lens and Kodak T-Max 400 film. While visiting Charleston, South Carolina, I came across this furry playing a strange drum-like instrument. It was a very surreal experience; I felt like I had been temporarily transported into a mystical fantasy realm. I used my Pentax LX with a 50mm f/1.4 lens and Kodak Tmax 400 film. The physical darkroom print is 10"x7". "Sheridan" is 16 exposures of houses that overlook the lakeside along Sheridan Avenue in Wilmette, Illinois. All of these homes are ridiculously large mansions, occupied by some of Chicagoland's wealthiest residents. Having the beach as your backyard doesn't come cheap around here. I used my Nikon F2 with a 20mm f/2.8 Nikkor lens, and Portra 160 film. The physical print is 9"x16". "Prairie" is a multiple exposure photograph of about 16 houses on Prairie Avenue, close to where I live in Evanston, Illinois. Most of the houses on Prairie are of the craftsman style, but vary in size and layout. I used my Nikon F2 with a 20mm f/2.8 Nikkor AI lens, and Kodak Portra 160 film. The physical print is 9"x16". Last month, our cat, Mister Meowmers, passed away at the age of 16. He was a beautiful cat, and a great friend. It's been hard dealing with his absence over the past weeks. I miss him so much. 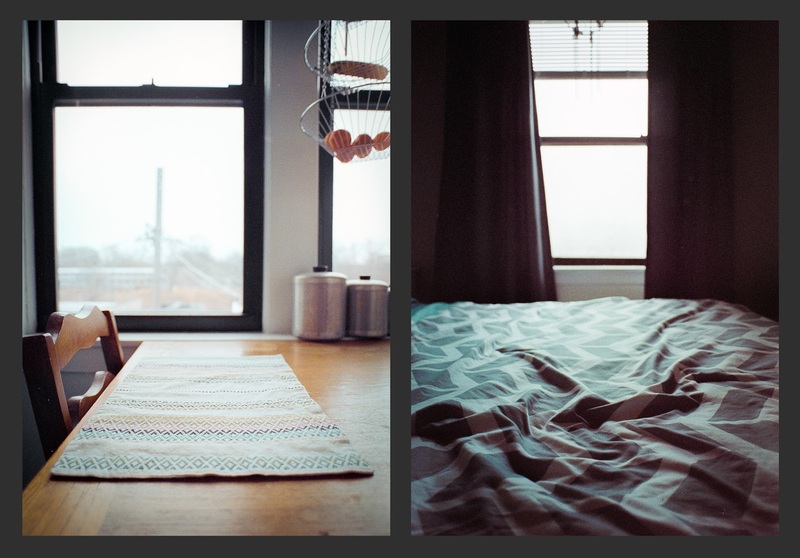 This diptych shows two of the places he used to like to hang out. Mister loved to sit on the kitchen table and look out the window, unknowingly getting our placemats covered in his foofy fur. The foot of the bed was also a favorite place of Mister's, where he spent many hours napping and getting petted by Katie and me. While Katie and I still have our little black cat, Chooks (who we love very much), the apartment still feels lonely without our Mister Meowmers. This diptych attempts to express the feeling of emptiness I experience whenever I glance at one of his favorite spots. I used my Nikon F2 with a 20mm f/2.8 Nikkor lens, and Portra 160 film. Thanks for looking.